One of our most popular baseball medals, large enough to honor great young baseball, softball or T-ball players! 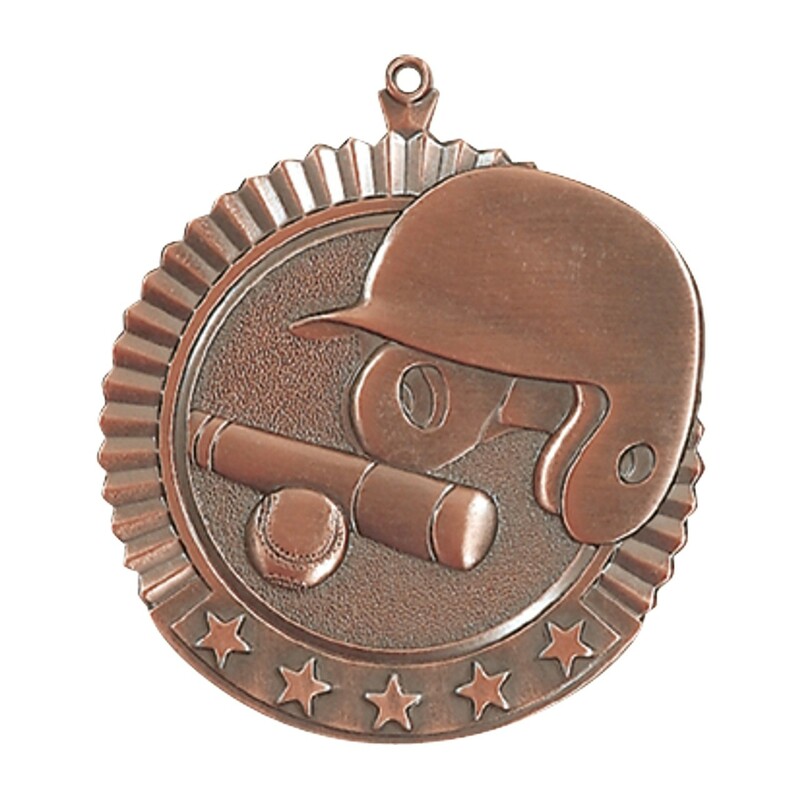 This Large Value Baseball Medal is 2-3/4 inch big and is made of high-quality metal. The baseball medal depicts a batter's helmet, baseball, and bat. Available at a great value, recognize outstanding players with this baseball medal. 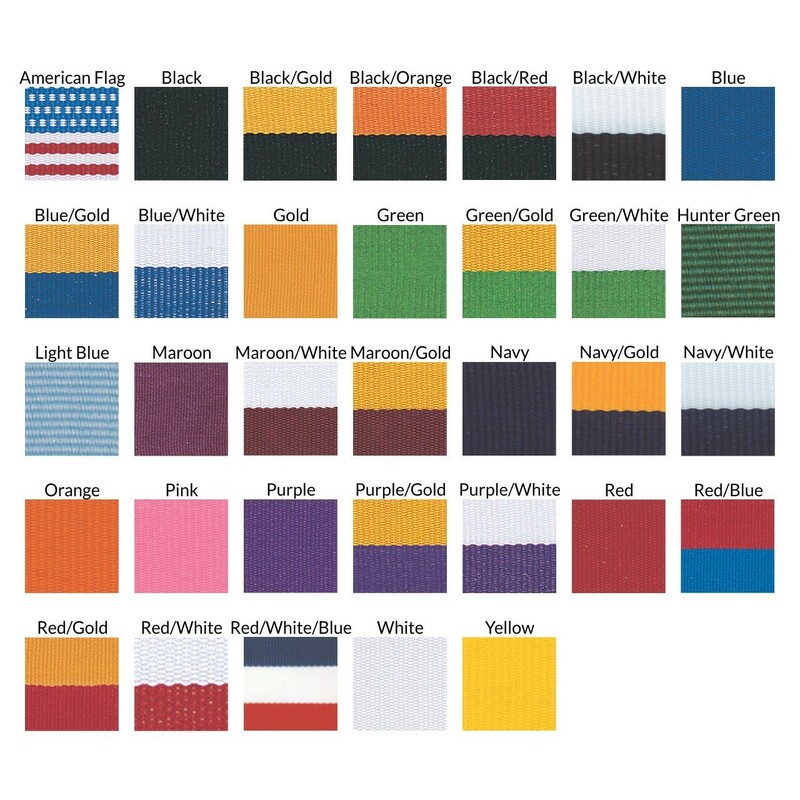 The Large Value Baseball Medal comes in your choice of neckdrape color and gold, silver or bronze baseball medallion color.